Self Warming Nuzzle Nest Pet Bed by K&H Pet Products comes in Leopard or Zebra. This bed provides extra warmth without electricity! 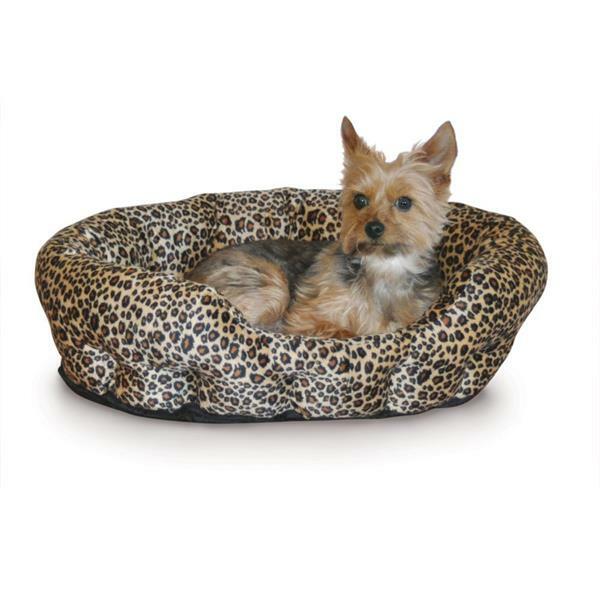 "The special insulation inside the bed captures your pet’s heat and radiates the warmth back to your pet. Great for cats and small dogs that demand a warm spot. Dimensions: 19"" x 19"" x 6""